Alarm Cat (Design), 9780990794929, 120pp. Kevin J. O'Conner* has accomplished more in his life than he ever did before he was born. Kevin is a graphic designer, copy editor, audio editor, photographer, writer/poet/blogger, and Tinty Music mastermind. Separation Anxiety is his first book. 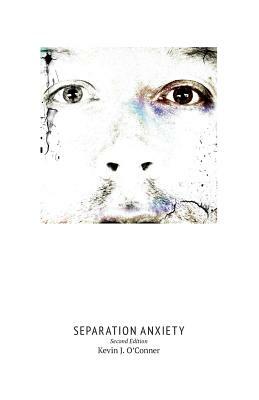 Separation Anxiety was assembled following both a divorce and the end of a close friendship one year later. The poems-written in direct, simple, and expressive language-reflect the many emotions involved at such times. Kevin's blog can be found at https: //ordinaryaveragethoughts.wordpress.com. * Not to be confused with the actor Kevin J. O'Connor. O'Connor has met Kathleen Turner; O'Conner has given up on that ever happening.